What is a dramaturg—why do you need one, and why should you want to be one?! This course introduces various aspects of dramaturgy to the playwright who is hungry to collaborate, both with a dramaturg and with other playwrights. It’ll approach dramaturgy from both sides of the creative process, with tips for fruitful collaboration, case studies of dramaturgical challenges in new play development, samples of research-based dramaturgy projects, and more. Students will walk away with a toolkit of dramaturgical skills that will make them better prepared for professional environments as playwrights, dramaturgs, and generative artists. March 5, 8, 12, and 15, 6pm-8pm E.S.T. 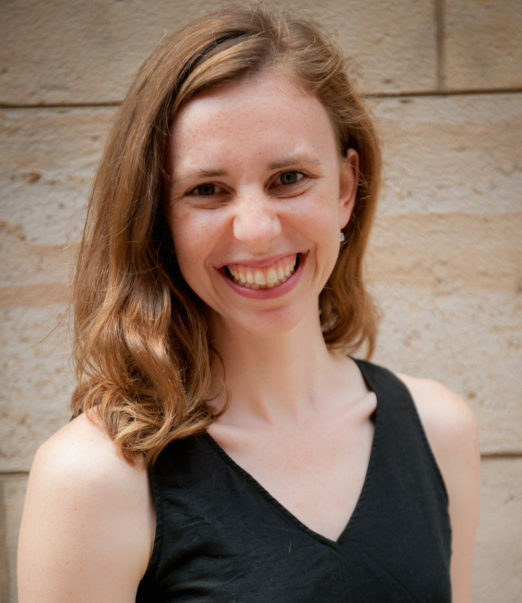 Julia is a Philadelphia-based new work dramaturg who is passionate about fostering playwrights, librettists, and composers at all stages of their careers. Julia’s recent work includes premieres and workshops with Opera Philadelphia, PEAK Performances at Montclair State University, Music-Theatre Group, the American Repertory Theater, Lincoln Center Theater, the Eugene O’Neill Theater Center, and Passage Theatre Company, among others. She has served as a reader for PlayPenn, SPACE on Ryder Farm, Musical Theatre Factory, the O’Neill’s National Playwrights Conference, the A.R.T., and Williamstown Theater Festival. She’s the Director of Education at PlayPenn, a Board member of Philly-based Directors Gathering, and a regional VP for Literary Managers and Dramaturgs of the Americas (LMDA). An alumni of the National Critics Institute at the O’Neill (Chris Jones, mentor), Julia received her M.F.A. from the A.R.T. Institute at Harvard, and her A.B. from Princeton University. When you register for a PlayPenn class before January 15, 2018, you’ll be invited to submit your unproduced, full-length play for consideration for a professional staged reading. PlayPenn will produce one student’s play as a reading with a professional director, professional actors and a PlayPenn dramaturg in Philadelphia in the spring/summer of 2019. Only plays that have not had a professional production or reading will be considered. PlayPenn will cover the cost of the reading, but the student is responsible for their own housing and transportation. If you register for a class by the deadline, additional details will be emailed to you along with a submission form.